We had a lovely time at the opening of Mint's summer show Rock Salt Paper Air. Lina Kanafani has beautifully curated work from over fifty international Artists, carefully selected for their imaginative approach, challenging traditional techniques and craftsmanship. Many of the pieces in the exhibition use materials in a really surprising way, you have to look twice to understand what the work is made from. Many people at first glance think my work is water colour, it is when you lean in that you understand it is stitched and infact not painted at all, but made from a collage of layers of silk organza (a delicate translucent fabric). I’m excited to have four of my Value of Making portraits in this exhibition. Including Portrait of a Weaver which you can see me stitching below. 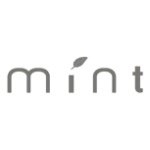 Mint is a very chic design store just off the Brompton Road, opposite the V&A.